Learn how to strategically prepare for apocalyptic events of the end times while remaining fervent in prayer. This audiobook contains four different guides to help you survive the challenges of being a Christian parent when under constant attack from our spiritual enemy. Get four audiobooks in one. We have created this bundle to give you an all-inclusive audiobook to reference when searching for answers regarding how to raise strong Christian children of faith and courage with sound biblical doctrine. If you’re looking for solid answers for how to get started in parenting, prepping, and prayer, this audiobook is for you. This audiobook has the answers to what God’s plan is and has been for his people. 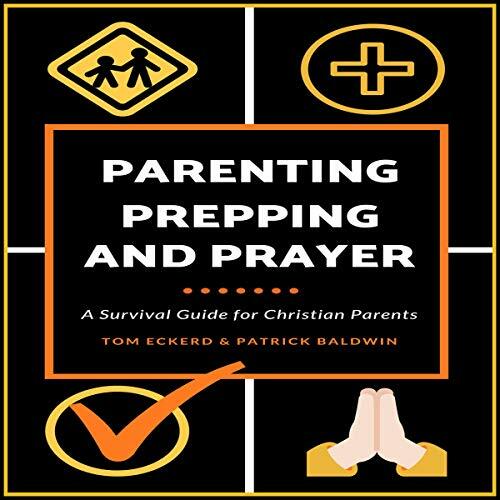 This audiobook is a must for anyone who is serious about learning more about parenting, prepping, and prayer.